Larry is a California native and currently resides in Visalia with his wife Susan. Larry and Susan have three daughters, Karen residing in Grover Beach, Heather in Louisiana and April in Charlotte, North Carolina. Larry also has five granddaughters ranging in age from 13 to 23, Faith, Autumn, Myles, Natalie and Heidi. Larry is an avid reader, enjoys gourmet food and creating gourmet meals for his family and friends that are paired with wine, and collects elephants and Garfields. Larry is also somewhat of a wine aficionado and he currently has a modest collection in his cellar. His interest in wine has led him to be involved in the Main Street's annual Wine and Chocolate event for which he acquired all of the wine for them for eight years. He also provides the wine for the annual Hanford Rotary Paul Harris Wine Auction at no cost to the Rotary Club. Larry is a Major Donor for the Paul Harris International Foundations. 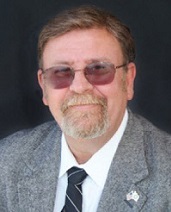 Larry is a past president of the Hanford Rotary Club and is currently the Secretary/Treasurer. Larry and his wife are active members of the Lemoore Presbyterian Church. If you would like to contact Larry, he can be reached in our Visalia office at (559) 627-3900 Ext 4011 or by e-mail at layers@mgreencpas.com.